The Warriors went in 8-4 to the good at the break after tries from Dom Manfredi and Tom Davies had cancelled out Josh Charnley’s opener. But tempers flared between the sides as they walked towards the tunnel and officials had to step in in order to split them up. Wolves star Bryson Goodwin pushed Morgan Escare before the Warriors man’s compatriot Romain Navarrete jumped in to defend him. However, match referee Robert Hicks opted against punishing anybody for their involvement in the fracas. And both teams returned from their respective dressing rooms with a full complement of players. 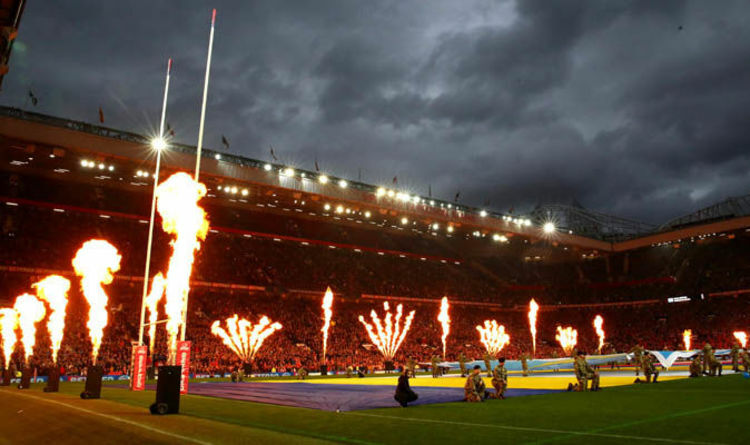 The atmosphere at Old Trafford was already feisty with Wolves fans unhappy with Warriors ace Sam Tomkins. Tomkins had been accused of tripping up an opponent and leading into a tackle Stefan Ratchford with his knee. Former St Helens man Jon Wilkin offered his take on how the bust-up would affect the match. “All that pushing and shoving that went on in the tunnel at half-time will benefit Wigan, it can galvanise you,” Wilkin told BBC Radio 5 Live. Meanwhile, former Salford forward Paul Highton suggested Tomkins was putting himself in a difficult position with the referee. “He’s living really dangerously is Sam Tomkins,” Highton said. “He’s turned into a bit of a controversial character at the moment. “He slid in there and he’s led with his knees, that’s a bad effort. “It’s the second time in this game that he’s thrown those legs into the wrong spot.